We like to call it the ultimate trail hardtail, and with our 6Fattie Wheel/Tire System, this becomes more than just talk. Its 27.5×3.0″ tires put out more traction, more floatation, and better handling without sacrificing anything to efficiency on climbs. 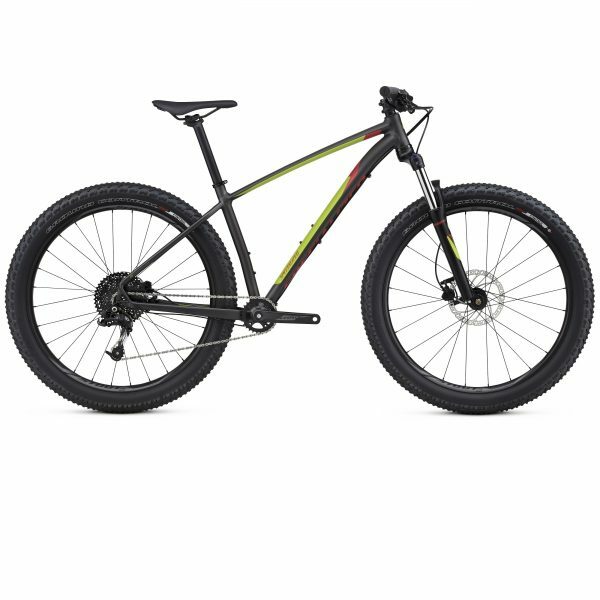 This system also allows you the opportunity to toggle between 29-inch wheels (not included) and 6Fattie wheels, allowing the ultimate in configuration options for the trail at hand. And to solidify itself as a proper trail machine, this iteration of the Fuse places a focus on blending durability with performance. To do so, we spec’d it with strong alloy rims, a bulletproof one-by drivetrain with plenty of hammering and climbing ability, and a SR Suntour fork with 80mm of travel. Ride this bike home today, for as low as $50 per month. Follow this link and apply for pre-approval today.